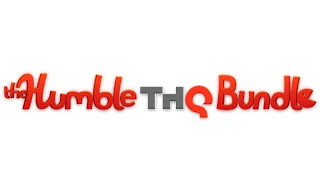 If you're bored and looking for some games to play, why not get a few from the Humble THQ Bundle? This bundle of games features Red Faction, Darksiders, Metro 2033, and Company of Heroes (with DLC). Name any price, starting at $1, and these games are all yours - via Steam code. For more awesomeness, pay above the average price, and you'll receive Saints Row The Third and Titan Quest! In this case, you can choose where your money goes - THQ, Charities (American Red Cross, Child's Play), or a tip for the creators of this bundle! Check out this awesome bundle!